Is it Friday? The Linden Life: Is it Friday? This week has kind of flown by... but also kind of dragged on. I think I'm just feeling indecisive these days. I've been staring at my closet for way too long in the mornings, taking forever to decide on breakfast, and can't make up my mind on which route to take to work. I need a serious house clean/purge to start Fall off with a clean slate. On the agenda for the weekend? Lots of cleaning, cooking, grocery shopping, and organizing. I'm off to Miami next week for work, and I'm determined to be a good wife and leave my husband food in the fridge and clean clothes in everyones drawers. Here are some of my favourite things this week. 1) West Elm is now shipping in Canada. This may not be a new thing, but I just heard about it! If only they would open a store in Winnipeg, and a Pottery Barn, a Pottery Barn Kids, J Crew, H & M, Zara... I could go on! 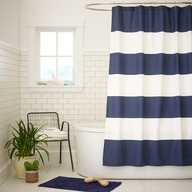 I'm thinking about ordering this shower curtain. 2) I saw this cute tutorial for icing cupcakes, and I want to buy myself a bigger star tip and give them a try! 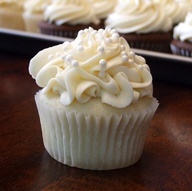 I LOVE cupcakes, but haven't made them in awhile. On the to-do list for the weekend. 3) I'm going to make Sweater Leg Warmers! I've already cut up an old sweater, and it shouldn't take too long to sew a hem. Don't they look cozy for fall?! I found this inspiration via The Farmers Nest. 4) I went on a little shopping spree for Soren. These striped leggings may not look all that masculine, but I think they are perfect for a one-year old to run and crawl around in. 5) Fall! This (blurry) pictures sums it up. 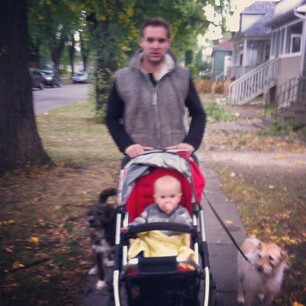 Crisp evening walks with cozy sweaters on, leaves cracking beneath us, a baby with his thumb in his mouth, and two dogs ready for anything! 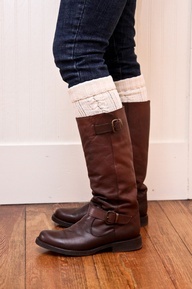 Gotta get those leg warmers ready for the cold weather coming our way. YAY! Scrumptious! Love all of these images! 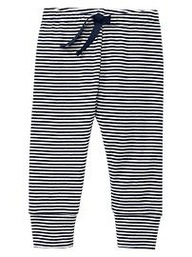 I especially loved the striped pants...just put them in my gap bag for my son. So cute! Those leg warmers look so cute! I wish I had any talent in sewing so that I could make something like that. My feet already get so hot in boots, though, that that might just make it worse! Just found your blog and have enjoyed getting to know you better. I'm excited to follow along!